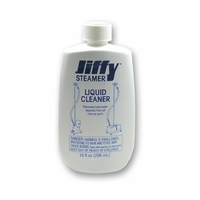 As the world's oldest and largest manufacturer of garment steamers and steamer equipment for personal and professional use, Jiffy® Steamer manufactures over 16 fabric steamers and clothes steamer models including the popular Esteam®, with only the finest industrial and professional components available. Jiffy® Steamer customers throughout the world enjoy the ease of use when steaming clothes or fabric in their home or business, simplicity of the process and the omission of the ironing board. As your drycleaner knows, steam is the gentlest, safest, most efficient method to remove wrinkles from fabrics. The powerful action of garment steamers penetrates the fibers, relaxes them and causes the wrinkles to release.